Adobe have announced that they intend to reduce the entry level for the lower price Level 2 licenses for Creative Cloud for Education, Charities and Not for Profit organisations. The date suggested when this will occur is 3 April 2017 though this is not certain. We await the April price list! The up to 14% reduction in annual cost for entering Level 2 pricing currently starts when you have subscribed to the 50th license. The new entry point will be the 10th license. Any customers considering adding a subscription, where their new total license count might be 10 or more, could benefit from holding off adding the license until 3 April. 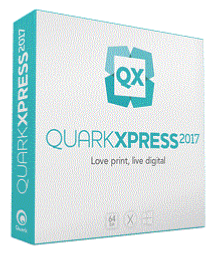 QuarkXPress 2017 is coming soon (some time "in the second quarter"). You will be able to create responsive HTML5 publications as well as "unlimited”* single iOS apps, introduce new graphics and image editing capabilities, enhance and extend text and typography features and incorporate "Wish list” features requested by our users. Critically for many it will still be available as a perpetual license. Commercial, Government and Not for Profit can purchase 2016 now and will get 2017 free (Quark terms and conditions). This offer does not extend to education purchases. QuarkXPress 2016 Education Single User license reduced from £69 to £59.